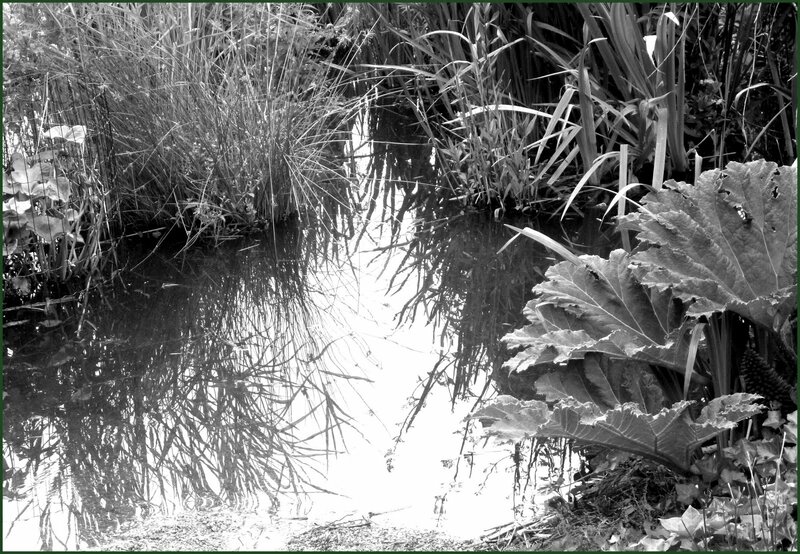 Amid the giant green growth that has overtaken the small lake during this year's unending rain, a small, spontaneous corner of shadowed, monochrome containment. A lot of the material I find myself copy-editing is in the social, political or economic sciences because that's where I've been working, for over a decade in a specialist university and for another decade and more before that in international politics - so the people I know and the people they know tend to be in these fields. Although I've never studied these areas formally myself, I've learned a lot about them - their jargon, their broader expectations of scholarly writing in particular. To revise a text written by a non-native English speaker you need to fully understand the intended meaning and I never take on the editing of anything I can't follow. But my mind is not just an editor's mind, of course. The social, economic and political sciences concern us all, specialists or not, since they concern the forces that govern our lives as individuals. In this sense everything I find myself working on is of personal as well as linguistic interest. Recently I've been editing a paper that debates the nature and extent of individual agency in a post-modern and crisis-ridden Western democracy: a topic that touches me, and all of us, very personally. It's the question, really, that determines how far it's worth my while to get up every day, to summon all my hopes and dreams, morality, beliefs, and try again. Just lately, wondering if I can build a different, better life, even in these hard and frightening times, I'm especially aware of this. Whilst doing ok with the day-to-day goals, at a deeper level I'm struggling. I've been seeing a psychotherapist, conscious that this is probably my last chance to confront my deepest personal limitations. A therapist will treat you as if you have a lot of individual agency - or why would they bother? This doesn't mean, of course, that they're oblivious to wider social issues. They may have strong political commitments. Many are involved in pushing for more psychotherapy (and not just CBT!) to be available in the British National Health Service for those who cannot pay. But still, personal agency, and so implicitly the question of its limits, is the focus in therapy - the complex and ultimately unanswerable question! There'll be no cut-and-dried answer from my therapist, and none from any scholarly paper either. Social scientists... observe - yes, collect - yes, analyse - yes, theorise - yes, speculate - hmm. Whatever your perspective, the here and now is really all there is, although all your important decisions imperiously demand some basis beyond this. The therapist may speak of the need to find 'a place to stand' in difficult, shifting times, and this image is a powerful one. The best I can come up with for now is that it's a little (but essential) bit about faith and imagination, a little (but essential) bit about becoming more aware of your own 'blind spots', and a lot about just putting one foot in front of the other. Interesting to find myself, so soon after the Munch exhibition, again in one of those intriguing borderlands where paintings spill colours and moods into their surroundings. 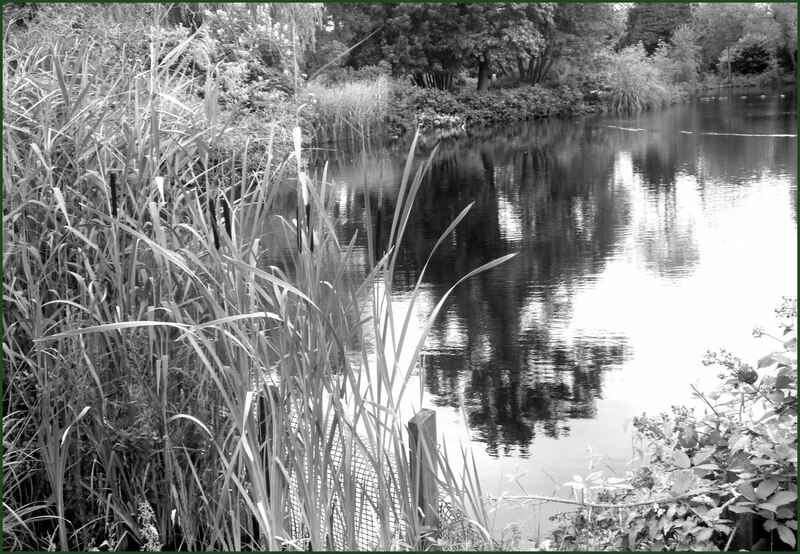 This time it was the garden of botanical artist Rosemary Lindsay. I went home with an armful of printed cards of her very beautiful paintings, feeling as if I'd scooped them straight from beds and branches. I love Munch. 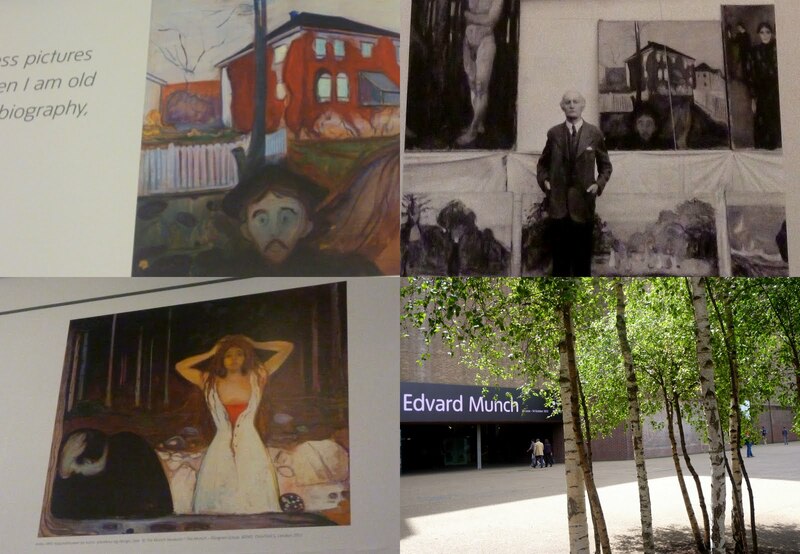 There's an exhibition of his paintings and photographs at Tate Modern. I can take a lot of his particular brand of brooding, introspective intensity. Combined as it is with a supreme sense of form and colour, it makes for deep and thoughtful pictures that are also, even when the scene depicted is grim, always pleasurable and intriguing to the eye. I even like his habit of painting the same subject over and over, though I'm not sure I feel the same about the curators who saw fit to hang a whole, large gallery with variations on the same portrait. On the other hand, it gives a sense, perhaps, of being in the artist's mind, of sharing his repeated, habitual perceptions - a bit jarring at the time, but in retrospect rather interesting and provocative. It's a big exhibition (they always are if it's a big name - you'd think a little of something big might be deemed to suffice, but it seems to be the opposite): long galleries, many paintings, many perspectives. After a while, the shapes and colours that spring so strongly from the work seem to invade the spaces in between. The people looking at the paintings, their shapes and angles and outlines, appear more and more as if they'd stepped out of them. A painted shock of red hair, a purple dress, a pale, drooping, interesting face, take the eye straight to another that is not painted. I love Munch a lot. Weirdly, I'm enjoying remembering this exhibition more than I enjoyed being there. Perhaps the reclusive, philosophical artist would have liked that. Translating words, shapes, colours, emotions: meanings and interpretations come together in the brand new edition of the >Language >Place blog carnival, hosted by Steve Wing in Florida, on the theme of Translation. Most happy to be part of this. I've resumed posting at TRAIL MIX. The long-term commitment to something tiny continues to feel in some way not tiny. An increasingly loud consensus would have it that the blogosphere is in inexorable decline, usurped by Facebook and Twitter. But I've recently added to my Links three new blogs that delight and stretch my mind. Quality over quantity is just fine with me. Novelist, philosopher and linguist Will Buckingham, long-time blogger at thinkBuddha, returned with The Myriad Things and writes about them all so beautifully and lightly. 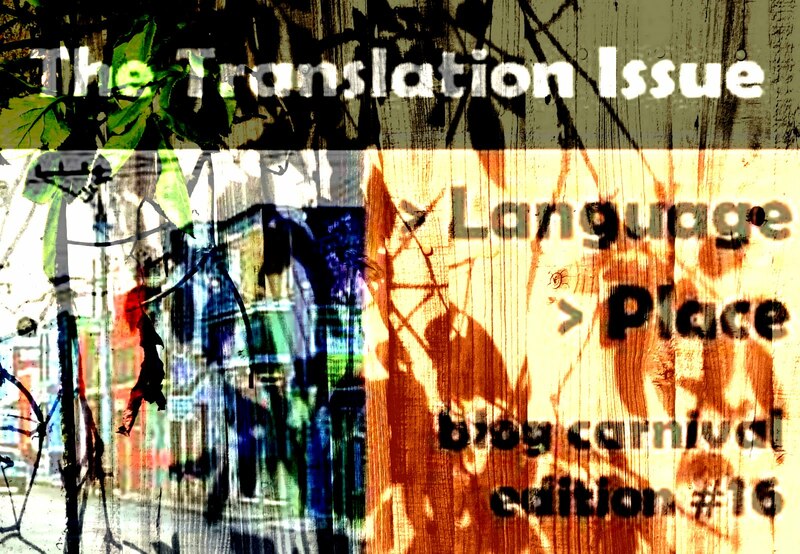 Another scholar, 'kitabet', anthropologist in Istanbul, started blogging at Human Landscapes - like Will, a friend from her earlier blog and still as full of knowledge, warmth and presence. And finally, by no means new but new to me, a name that appeared in my comments, Sigrun, blogging from Norway at sub rosa - a fine mind and kindred spirit sharing links and subtle perceptions on literature, images and place. More links that make me happy: photos that I first blogged ages ago published here and here and here at qarrtsiluni, and more recently blogged words and photo melded with others' words and photos into something new at blueprintreview.